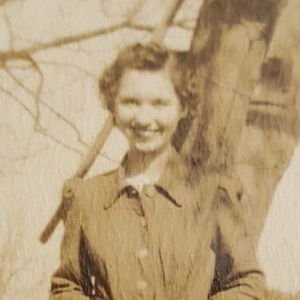 Jeanette Hester White, 99, of Orrum, passed away on Friday, February 22, 2019. She was preceded in death by her parents: George L. and Fannie Shaw Hester; husband: William Oscar (Nink) White, Jr.; three sons: Bill, George Howard, Reggie White; five brothers: RD, Edwin, Jerry, Michael and Ashley Hester; one sister: Sara Benton; one grandson: Steve White and one great-grandson: Jackson Wood. Jeanette leaves behind four daughters: Carolyn White of Tabor City, Linda White of Butters, Donna Nobles and husband Kirk of Orrum, Sandra White and husband William Munn of Fairmont; 16 grandchildren, 24 great-grandchildren and 12 great, great-grandchildren. Jeanette loved her family and everyone with an unconditional love to all regardless of status. She loved to entertain by feeding everyone with her wonderful cooking. Jeanette was quite the seamstress who could sew, crochet, and made clothes for her children. She was also a writer that kept journals and did crossword puzzles. She read her Bible daily as long as her health would permit. A humble, kind, giving soul that will never be forgotten. A graveside service will be held on Monday, February 25th at 11:00 am in Pine Crest Cemetery in Bladenboro with Rev. Kirk Nobles and Rev. Joshua Nobles officiating service. The family will receive friends at the home of Donna Nobles 674 Pats Road Orrum, NC 28369.